Last week, we saw Team China and Team France fight their way to the top in Shanghai, snatching up the first two places in the Overwatch World Cup playoffs at BlizzCon. 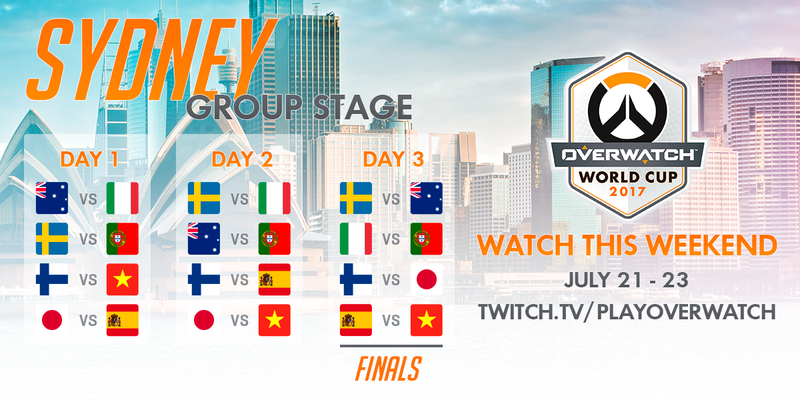 This weekend, everything's coming up explodey as Groups C and D take the stage in Sydney, Australia on July 21–23. Grab your mates and tune in July 21–23 as the next two teams entering the playoffs are decided!